It’s no secret. International companies often sell their products at one price in Australia and New Zealand and then charge a different, almost always lower, price elsewhere in the world. Nowhere is this more frustrating than with top of the line sports shoes such as ASICS Kinsei 5 running shoes. Until recently, many Australians and New Zealanders had been buying their ASICS Kinsei running shoes from overseas online stores at much cheaper prices. Unfortunately, in the last couple of years, manufacturers have been clamping down on those practices. 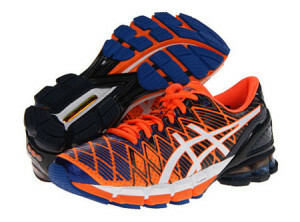 Stores like Wiggle and Amazon are no longer shipping ASICS running shoes to countries such as Australia and New Zealand. Not to worry though, there's still a way to get around this. 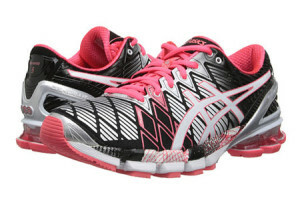 Big Apple Buddy, your personal shopper, is based in the US so we can help you purchase your ASICS Kinsei 5 shoes from US online stores such as Amazon, Running Warehouse and Road Runner Sports and ship them to you in Australia, New Zealand or anywhere else in the world. The ASICS Kinsei 5 running shoes retails in Australia for around AU$300, but they will only set you back approximately US$139 in America. Factor in the foreign exchange rate and shipping and you’ll still often be saving as much as $80 a pair. The only hitch of course is that those stores are barred by the manufacturer from shipping to Australia, Austria, Azerbaijan, Bahrain, Belgium, British Virgin Islands, Brunei, Bulgaria, Canada, Chile, Costa Rica, Croatia, Czech Republic, Denmark, Estonia, Fiji, Finland, France, French Polynesia, Germany, Gibraltar, Greece, Greenland, Hong Kong, Hungary, Iceland, Indonesia, Ireland, Israel, Italy, Japan, Jordan, Kuwait, Latvia, Liechtenstein, Lithuania, Luxembourg, Macau, Malaysia, Maldives, Malta, Marshall Islands, Mauritius, Monaco, the Netherlands, Netherland Antilles, New Zealand, Norway, Oman, Poland, Qatar, Romania, San Marino, Saudi Arabia, Serbia and Montenegro, Seychelles, Singapore, Slovak Republic, Slovenia, Spain, South Africa, St. Lucia, Sweden, Switzerland, Taiwan, Thailand, the UAE, the UK, Vatican City, and Vietnam. 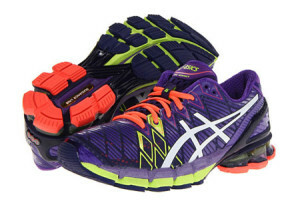 If you're interested in buying your ASICS Kinsei 5 runners at a discounted price, please feel free to get in touch with us for a free shipping quote. Because of the way shipping costs are calculated, the greatest savings are had when 2 pairs are ordered. Happy shopping!